Traditional public school funding sources do not always allow the support of innovative and creative programs and projects. Our grant process allows staff members to receive funding to support new and creative learning. 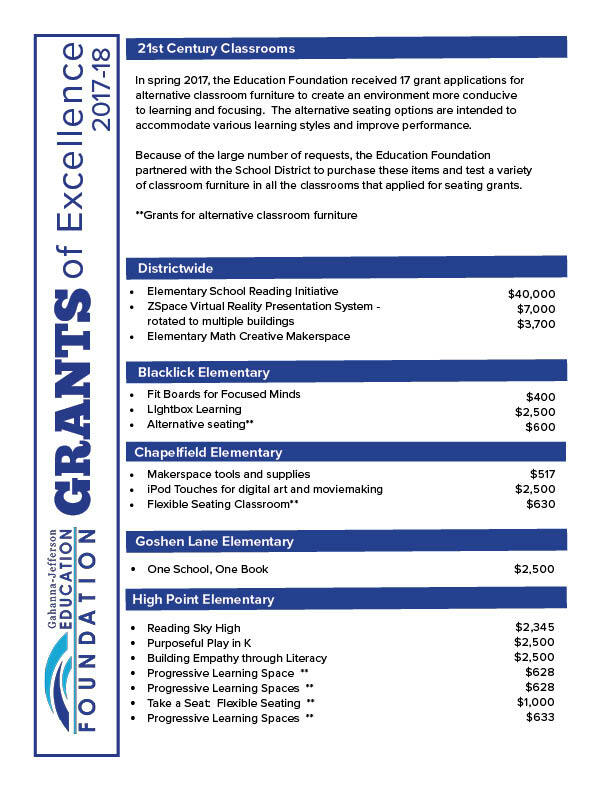 The Gahanna-Jefferson Education Foundation awards approximately $60,000 in Grants of Excellence Annually. All staff members in the Gahanna-Jefferson Public School District are eligible to apply for Grants of Excellence. 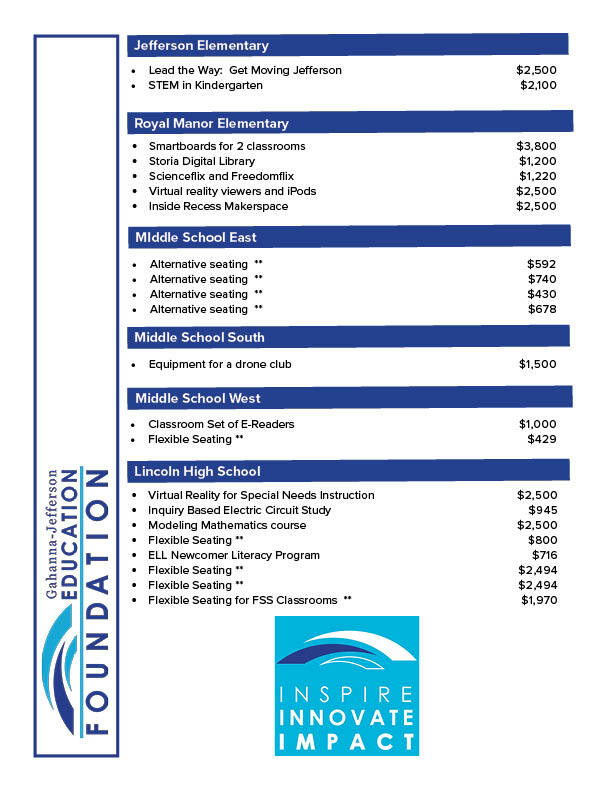 Grants are awarded on a competitive basis in the spring so programs can be implemented in the fall. Congratulations to our Spring 2017 Grants of Excellence.